St. Patrick’s PS, Crossmaglen, Co. Armagh; Killard House, Donaghadee, Co. Down; Ballydown PS, Banbridge, Co.Down; Strandtown PS, Belfast; Aughnacloy PS, Aughnacloy, Co. Tyrone; St. Colman’s PS, Lambeg, Co. Antrim; St. James’s PS, Newtownabbey, Co. Antrim; Donaghey PS, Dungannon, Co. Tyrone. Virtually There is a long-term project that places artists in schools via virtual technology. Running since 2007, the project supports artists to connect from their studios with teachers and children in the classroom, engaging in contemporary art practice that stems from the artists’ own studio practice. 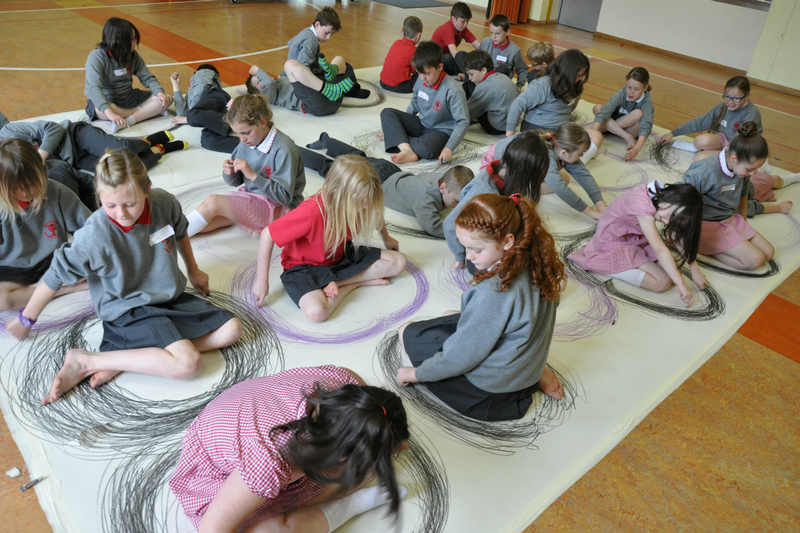 At present, eight schools across Northern Ireland are working with eight artists from North and South and further afield. The project has its own dedicated website, www.virtuallythere.org.uk, where you can closely follow its progress. Virtually There is one of the longest-standing artist-teacher partnership projects that we know of. At the heart of the work are critical components that support the project’s long-term sustainability and as an example of good practice. Among these are: Well-supported long-term artist-teacher partnerships; A sustained programme of support, including regular opportunities to meet, connect and discuss the work; Mentoring opportunities for participating teachers and artists; Good documentation supports; Flexibility and understanding around the parameters of the technology; Approaches that support participating children to respond and lead the direction of the project; Art practice and lines of enquiry that are firmly rooted in the artists’ own studio practice and areas of enquiry. 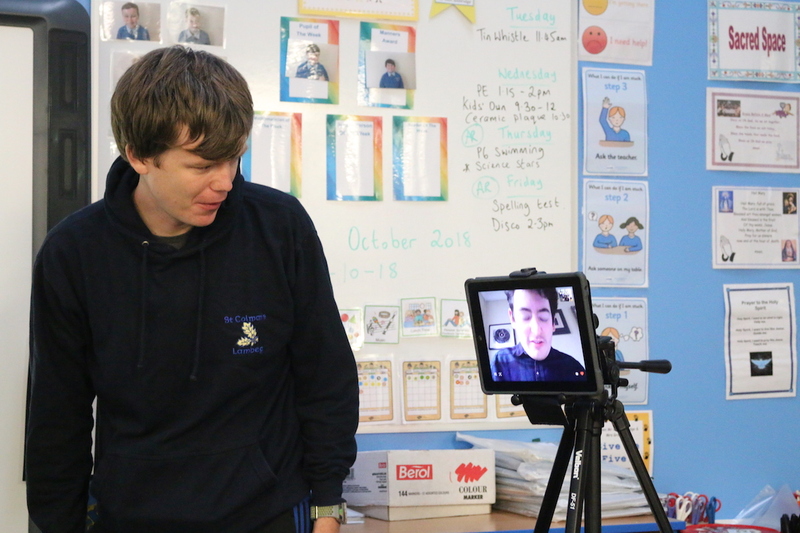 Teacher Chris McCambridge and artist John D'Arcy connecting virtually as part of the Virtually There Project, 2018. Children from Donaghey P.S. as their future selves as part of the Virtually There Project with artist Ann Donnelly, 2016. Children from Ballydown P.S. 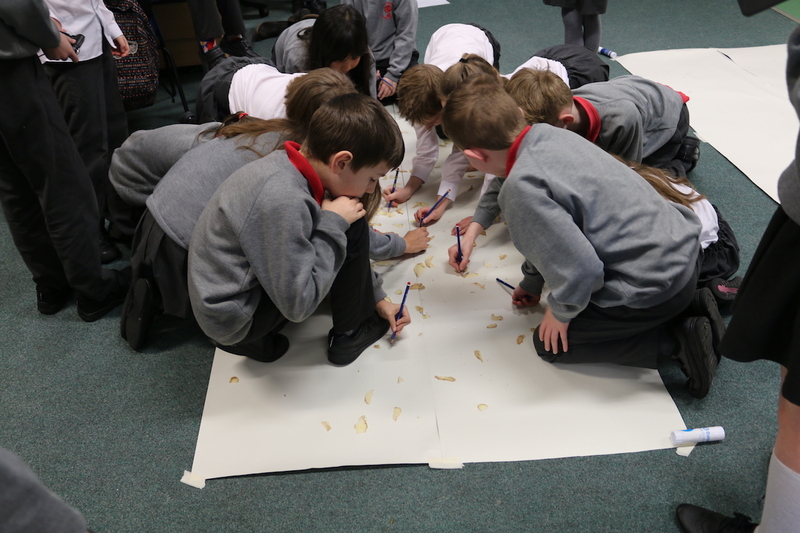 tracing around potato skins as part of the Virtually There Project with artist Ann Henderson. 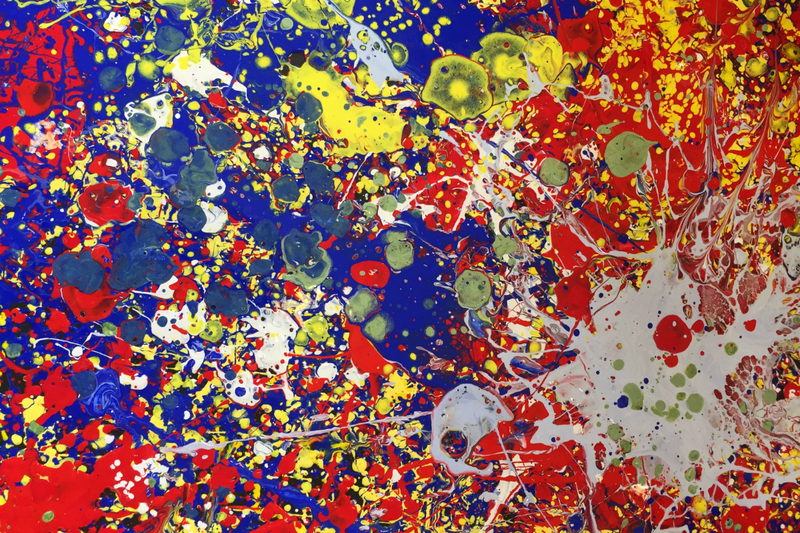 Jackson Pollock Inspired painting by children from St. Patrick's P.S. as part of the Virtually There Project with artist Sharon Kelly. 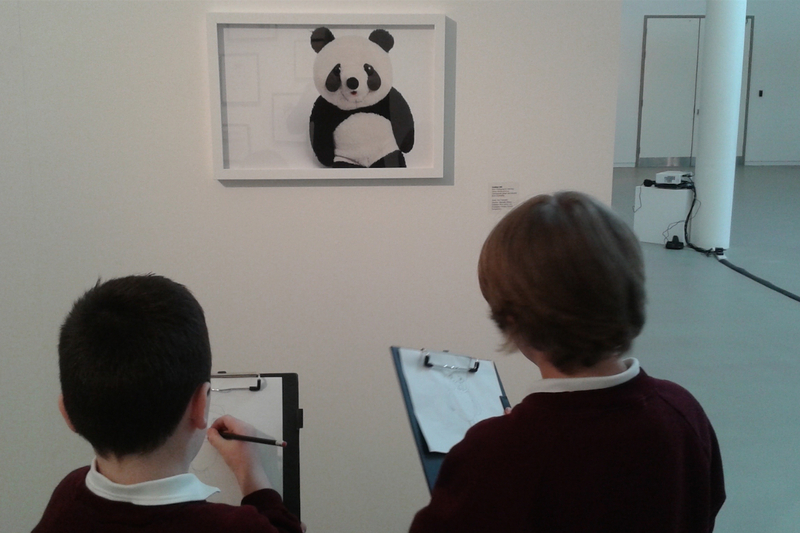 Children responding to work by artist Ann Donnelly at the Virtually There Exhibition at FE McWilliam Gallery & Studio. The Virtually There project has had a significant impact across Ireland and Northern Ireland over the years, in terms of providing an exemplary model of practice and plenty of sectoral learning. 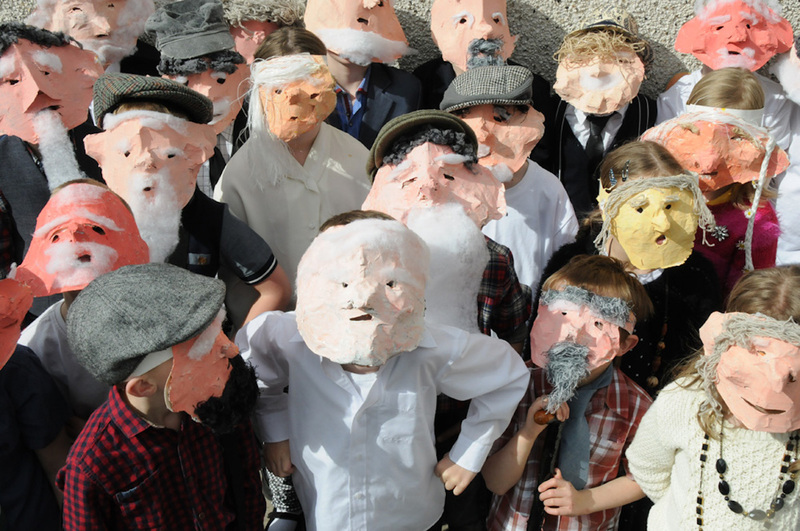 In 2014, Kids’ Own was delighted to receive a Touring and Dissemination of Work Award from the Arts Council (in partnership with the Arts Council of Northern Ireland), which supported a six-venue tour of an exhibition drawn from seven years of work developed through the Virtually There project. The touring programme included workshops for children and families, talks and symposia, professional development workshops for artists and the publication of a beautiful large-format book about the project. Kids’ Own has also piloted the project in the Republic of Ireland, with partnership support from The Education Centre, Tralee, Kilkenny Education Centre, Carrick-on-Shannon Education Centre and Sligo Education Centre. The Virtually There project has been presented at numerous international conferences, including the International Teaching Artist Conference in Edinburgh, “Møteplass Kunst” in Arendal, Norway and PRIO 0-18 in Gothenburg, Sweden. It has also provided inspiration for two artist-teacher partnerships that are currently being developed in Arundel, Norway as part of the Cultural Rucksack and which are due to begin in 2019. To mark the culmination of the four-year funded programme from the Paul Hamlyn Foundation, Kids’ Own is now working towards a large-scale exhibition in spring 2020. Watch this space! Kids’ Own is grateful to have received support from the Arts Council of Northern Ireland (Lottery Funding) consistently between 2007 and 2018 for this project.